One out of every 12 full-time workers in the United States used an illegal drug in the past month, according to survey data released Monday by the Substance Abuse and Mental Health Services Administration (SAMHSA). The survey indicated that 8.2% of full-time workers -- or 9.4 million people, including 7.3 million marijuana smokers -- were past-month illegal drug users. The survey also found that about 10.1 million full-time workers were heavy alcohol users, defined as downing five drinks at a time at least five times a month. Although SAMSHA's inclusion of past-month drug users with heavy alcohol drinkers suggests an equivalence between the two groups, that is not borne out by its estimates of dependence or abuse among the two. Of the 9.4 million illegal drug users, less than a third met SAMSHA's dependency or abuse criteria -- which undoubtedly overstate the number of problem substance users -- while the number dependent on alcohol or who abused alcohol was 10.5 million -- more than the number identified as heavy drinkers. The report found the highest rates of current illicit drug use were among food service workers (17.4%) and construction workers (15.1%). Highest rates of current heavy alcohol use were found among construction, mining, excavation and drilling workers (17.8%), and installation, maintenance, and repair workers (14.7%). Public security workers, librarians, and health workers had the lowest rates of illegal drug use. Other, unsurprising, findings: Young people were more likely to be illegal drug users or heavy drinkers, and drug users were less likely to work for employers who had drug testing programs. Government anti-drug officials used the survey data release to raise alarms about workplace drug use and call for expanded drug testing. "Substance abuse is a serious problem for the health, wellbeing and productivity of everyone in the workplace," said SAMHSA Administrator Terry Cline. "Employees who use drugs miss work more often, are less healthy, and are more prone to harming themselves and others in the workplace," said drug czar John Walters. "We hope that employers will take note of this report and consider implementing workplace drug testing policies that can help prevent drug use before it starts, help identify drug-using employees who need drug treatment services and also reduce employers' liability from drug-related workplace accidents." "The high rates of drug and alcohol use in hazardous industries is cause for concern," said Elena Carr, drug policy coordinator at the US Department of Labor (DOL). "Clearly businesses can ill-afford the risk of having workers operating meat slicers, backhoes, or other dangerous equipment while under the influence of alcohol or drugs, which is one reason why DOL helps employers and employees work together to proactively prevent such safety hazards." Of course, admitting to past month drug use or heavy drinking does not necessarily equate to "operating… dangerous equipment under the influence of alcohol or drugs." While the people paid to send out anti-drug messages see only danger, an alternative reading of the data could suggest that millions of American workers manage to hold down jobs despite smoking a joint on the weekend or perhaps drinking too much. The report is Worker Substance Use and Workplace Policies and Programs. In a bout of rhetorical excess unusual even for the nation's drug czar, Office of National Drug Control Policy (ONDCP) head John Walters called California marijuana growers "violent criminals" and "terrorists" who wouldn't think twice about helping foreign terrorists enter the country to cause mass casualties. Walters made his remarks at a June 12 press conference in Redding, California as he lauded paramilitarized teams of law enforcement personnel conducting raids on marijuana grows on public lands in Shasta County. People need to get over their "reefer blindness" and realize that drugs "fund terror and violence," Walters said in remarks reported by the Redding Record-Searchlight. As for pot growers tending crops on public land in the area: "These people are armed, they're dangerous," Walters said, calling them "violent criminal terrorists." Upon reflection, the ONDCP noted the following day in its blog that Walter's comments were all good. "Do you have Reefer Blindness?" the blog post asked, qualifying the Redding Record-Searchlight story as "a good story" and displaying no second thoughts about Walters' incendiary rhetoric. Unfortunately, no reporters present at the Walters press event challenged him on the role of marijuana prohibition in promoting violence or pushing marijuana growers onto public lands. Nor did anyone challenge him to present the least scintilla of evidence for his claim that marijuana growers would happily aid and abet Al Qaeda-style terrorists in attacking their fellow citizens. That is a good thing for Walters, because there simply isn't any. Politicization of the White House Office of National Drug Control Policy At the request of Sara Taylor, the former White House Director of Political Affairs, John Walters, the nation’s drug czar, and his deputies traveled to 20 events with vulnerable Republican members of Congress in the months prior to the 2006 elections. The trips were paid for by federal taxpayers and several were combined with the announcement of federal grants or actions that benefited the districts of the Republican members. A November 20, 2006, memo from Ms. Taylor summarizes the travel Director Walters took at her request. An agency e-mail sent the following day describes how Karl Rove commended the historically nonpartisan Office of National Drug Control Policy and three cabinet departments – Commerce, Transportation, and Agriculture – for “going above and beyond the call of duty” in making “surrogate appearances” at locations the e-mail described as “the god awful places we sent them.” Other documents include an e-mail from the Interior Department to Ms. Taylor’s predecessor stating: “these folks need to be reminded who they work for and how their geographical travel can benefit this President.” Chairman Waxman wrote to Ms. Taylor to request her attendance at a Committee deposition on or before July 24 and her possible appearance at a Committee hearing on July 30. He also wrote to White House Counsel Fred Fielding, the Republican National Committee, Director Walters, and the Secretaries of the Departments of Commerce, Transportation, and Agriculture requesting relevant documents. There's a complete set of links to the documents mentioned at the House Oversight and Government Operations Committee web site linked to in the title of the Waxman release. It makes some interesting--and damning--reading. Waxman looks like he will schedule some hearings on this soon. Gosh, it sure is fun when we have someone on the oversight committee who actually practices the first definition of the word! There's an old saying that there's nothing worse than a reformed smoker, and Joe Califano is making a strong bid to be the mother of all reformed smokers. 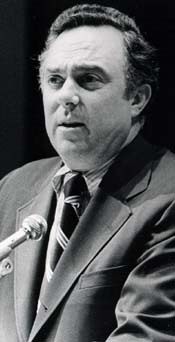 The former four-pack-a-day, chain-smoking Secretary of Health Education and Welfare in the Carter administration who helped orchestrate the country's first major anti-smoking campaign has since gone on to create the National Center on Addiction and Substance Abuse (CASA), nominally at Columbia University, which for the past 15 years he has used as a base for lecturing the nation on the dangers of drug and alcohol use. For Califano, it seems, there is no such thing as non-harmful drug use. Oh, he will, hidden far down in some paragraph deep in the middle of a chapter, admit that most teen smokers or drinkers don't become pot smokers or most pot smokers don't end up as heroin addicts, but such a tiny admission comes only after he has besieged the reader with a relentless barrage of factoids suggesting just the opposite. One gets the impression that if Joe Califano had his way, it would be a tee-totaling world. "High Society" is both Califano's argument for a massive offensive to reduce substance use and his blueprint for how to get it done. As a self-appointed leading advocate for public health adept at getting public attention, he deserves to be read by people interested in drug law reform, not least because they will invariably encounter his ideas among those too often on the other side of the issue. But Califano deserves attention too because although he is often wrongheaded, he isn't always wrongheaded. Yes, substance abuse is a serious social problem. Yes, alcohol and tobacco kill lots of people. Yes, we can't arrest or imprison our way out of the problem -- for certain. Yes, drug treatment is under-funded, under-studied, and too often little more than a money-making racket. He's spoken out against mandatory minimum drug sentencing and called for repeal of the Higher Education Act's infamous drug provision. Unfortunately for the cause of scientific rigor (and science-based drug policy), Califano and his CASA caliphate have proven more adept at advocacy and press release-writing than statistics. Califano has been famously caught out distorting youth drinking figures and over-hyping college drug use figures. Just last week, he was on CNN falsely warning that prescription drug abuse could be more popular than marijuana among kids. With its barrage of factoids disguised as argumentation, "High Society" suffers from some of the same flaws as Califano's and CASA's other work. Some of his factoids are just plain deceptive, as when he lumps the cost of enforcing the drug laws, which is a policy choice, in with the costs of substance abuse or when he notes the rapid increase in teenagers in drug treatment for marijuana without mentioning that a majority of them were sent there by courts or schools as a reflexive response to getting caught smoking pot. Some are simple truisms disguised as scientific breakthroughs. "Alcoholics are likely to abuse other drugs!" he exclaims. That's more exciting (and scary) than noting that people who like one drug might like other drugs too. Califano uses his onslaught of statistical half-truths and deceptions to push for more prevention, more and better treatment, more law enforcement (and certainly not drug legalization! ), and a general crusade against substance abuse. No one is going to argue against more drug prevention -- if it imparts accurate information and not just scare tactics -- or more access to better drug treatment -- as long as it is not coerced treatment. But while Califano criticizes programs like DARE as ineffective, his own work suggests a certain susceptibility to the propagandistic impulse. And he is certainly a proponent of forced treatment. He thinks we have too many people in jail for drugs, but while we have 'em, we might as well force drug treatment on them, parole them on the abstinence model, and throw them back in the clink if they fall off the wagon. He would also like to see more marijuana arrests. In fact, he points to former New York City Mayor Rudy Giuliani's jihad against pot-smokers, when New York accounted for almost 10% of pot arrests nationwide, as a good model. Califano deserves to be read by drug reformers because he is going to be widely read by well-meaning people with an interest in substance abuse. His exaggerations, distortions, and hyperbole will need to be countered. And, as I noted above, he isn't all wrong. Still, he and CASA are pernicious enough that if you're going to read "High Society," I encourage you to do so at the library or to order a used copy. Califano has vowed to turn all profits from the book over to CASA, and we don't want to encourage them. This is a rare chance to meet the other side head-on and show your discontent with wasteful, ineffective marijuana eradication programs and the Drug Czar and his policies generally. John P. Walters, Director of National Drug Control Policy (ONDCP) will be in Shasta County, California to conduct a marijuana eradication site visit as well as to attend the kickoff of a Federal, State and local law enforcement marijuana eradication initiative, Operation Alesia, a three-tiered marijuana eradication initiative coordinated by the California National Guard's Counterdrug Taskforce and the Shasta County Sheriff's Office. Following the marijuana eradication site visit, Director Walters and officials with the United States Forest Service, the California National Guard, and the Shasta County Sheriff's Office will participate in a media availability, providing a briefing of Operation Alesia and the day's eradication activities. Go let the Drug Czar know how you feel! Drug czar John Walters and his minions at the Office of National Drug Control Policy (ONDCP) have kicked off the summer season with a report on teens, drugs, gangs, and violence. The report, part of ONDCP's widely criticized National Youth Anti-Drug Media Campaign, links marijuana use to gang membership and links teen drug use to higher rates of violence and other anti-social activities. But the ONDCP report is raising a storm of disapproval from critics who charge it is misleading and intentionally obfuscatory. Teens who use marijuana regularly are nine times more likely than teens who don't to experiment with other illicit drugs or alcohol, and five times more likely to steal. "This is such transparent nonsense that I'm almost speechless," said Bruce Mirken, the usually loquacious communications director for the Marijuana Policy Project. "Marijuana doesn't cause violence and it doesn't cause criminality. Prohibition, however, does. That's the connection and that's exactly what they don't want to talk about. In that sense, this report is even more egregiously dishonest than most of what ONDCP puts out." "It is incredibly ironic to see ONDCP simultaneously advancing the idea that marijuana causes laziness, which it has been doing for years, and then turn around and try to tell us that marijuana causes violence," said Scott Morgan, blogger for DRCNet. "It is also pretty shoddy to suggest a link between marijuana and gang membership. To whatever extent marijuana users are likely to join gangs, these relationships are facilitated by drug prohibition, which creates the black market in which these gangs thrive." "That some kids join gangs has nothing to do with marijuana at all," agreed Mirken. "Our drug laws have handed the marijuana market to the gangs, and the association is a direct result of stupid laws. If we regulated marijuana like alcohol, those associations would disappear overnight." In fact, the data linking marijuana use to gang membership is quite limited. ONDCP relied on one 2001 study of Seattle students to arrive at the conclusion that the two are linked. "Walters and Murray seem to have their usual array of components at work here: an ad hominem attack against the 1960s, a bunch of supposedly pro-family pablum, an attack against those who take a different approach, and their typical twisting of data for the uninformed," groaned Allen St. Pierre, executive director of the National Organization for the Reform of Marijuana Laws (NORML). "What ONDCP is in effect telling us is that its billions of dollars worth of propaganda does not stop young people from using marijuana, and secondly, that a very small percentage of them go on to experiment with other drugs," said St. Pierre. Pete Guither at the Drug WarRant blog took issue with the claim that drug users were involved in 17% of fights. "It all sounds scary, unless you actually look at it," he wrote. "If you look at the 2007 Monitoring the Future report, you see that the percentages of any teens who used drugs in the past year are: 8th grade (14.8%), 10th grade (28.7%), and 12th grade (36.5%). So to say that 17% of teens who got into serious fights report using drugs is not a particularly alarming thing. In fact, it appears by these numbers that teens who use drugs are actually less likely to get into serious fights." ONDCP also seems to have trouble with the notion of cause and effect, said MPP's Mirken. "If you look at the studies of kids, the ones who are smoking marijuana or using drugs or alcohol at a young age are the ones that are already having problems, already not doing well in school," said Mirken. "It is not surprising that this troubled group of young people is doing all sorts of bad behaviors, but trying to pin that on marijuana is just absolute nonsense." The report's release may have more to do with ONDCP worries about budget cuts for programs proven not to be effective, like the National Youth Anti-Drug Media Campaign, than with actual cause and effect relationships between youth drug use and anti-social behavior, suggested Tom Angell, government relations director for Students for Sensible Drug Policy (SSDP). "It would appear that ONDCP has nervously pushed this out because they are terrified that congressional leaders are moving to cut the funding for many of their so-called anti-drug programs," said Angell. "They're grasping at straws, trying to get as much ammo as possible to defend their much-loved big budget items." "This is just another shock report that ONDCP feels it needs to put out to get any press at all," said St. Pierre. "Everything ONDCP has done for the last five years is about whipping up fear, anxiety, and emotional contagion among parents to try to maintain the status quo and keep some part of the media reporting on this ridiculous report." Even there, ONDCP had limited success. Aside from reports in several Philadelphia media outlets, where drug czar Walters held a press conference to announce the report, a lone Associated Press story was picked up by 65 media outlets, most of them TV news stations in small to medium markets. Only a handful of print media ran the story, and that includes one outlet in marijuana-phobic Australia and one in Great Britain. But that won't stop ONDCP from producing more sensational but misleading reports, said NORML's St. Pierre. "We can set our calendars and know that about a week before school starts in the fall, we'll get the next big scare effort from ONDCP," he predicted.